Your Dentist in Pewaukee Keeps Smiles Strong with Checkups! When it comes to your health, your dentist in Pewaukee is one of the first resources in your line of defense against disease and health concerns. Whether you realize it or not, your mouth shows signs of major health concerns that affect your whole body—not always dental issues. Visiting Elmbrook Family Dentistry ensures that our professionals will keep an eye out for large problems and address them as soon as possible. This includes oral cancer, gum disease, and the diseases that could develop from advanced gum disease. Let’s explore what one of our dental experts could run into during your next dental checkup. 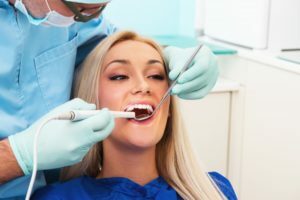 Many patients don’t realize they could have been taking action to prevent gum disease by regularly visiting their Pewaukee dentist. During your appointment, you will receive a deep cleaning that dramatically reduces the chances of developing gum disease. Your dentist may notice these symptoms if your mouth is becoming infected with gum disease. Elmbrook Family Dental is Here to Help! Comments Off on Your Dentist in Pewaukee Keeps Smiles Strong with Checkups!